Hippo Roofing in Florida is a prime example of how investing in marketing pays off for a local business. With Marketing 360® software and services, they get consistent, high ROI and traffic that generates their best leads. 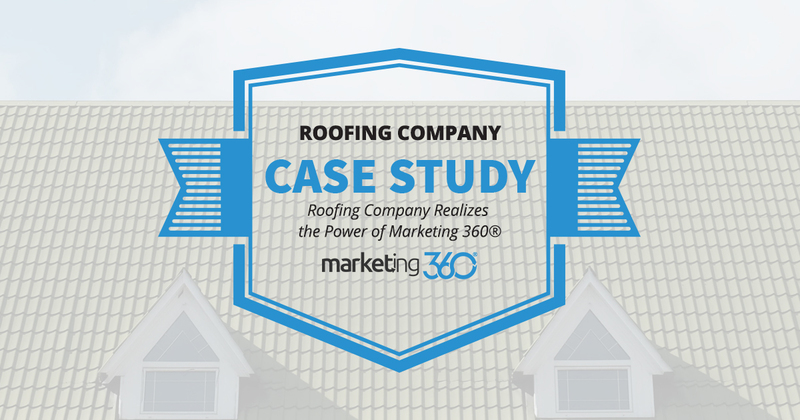 If you are a local contractor or home service pro of any kind and you’re considering Marketing 360®, this case study is for you. We won’t start with our words, but the words of our client. They say it best. The folks at Hippo Roofing make several important points. First, Brian points out the crux of our solution. When he puts a dollar into his marketing, he knows what he’s getting out of it. That’s an incredibly powerful statement because – even now – it’s rare in marketing. Marketing is a process that can get away from a business, even when they’re working with an agency that’s making a decent effort to drive results. Brian notes he’d worked with half a dozen marketing companies and was never able to track results in a way that informed his decisions to improve his marketing. With Marketing 360®, he uses the dashboard and talks with his marketing exec to get facts – not opinions – on what’s working. Brian using the Marketing 360® dashboard. This is what business owners want to know, plain and simple. I put x in, and I get y out. When y is high ROI, as it is for Hippo Roofing, you know your investment is paying off. Office Manager Donna Becker also makes an important point that we don’t bring up often enough. Hippo roofing has an outstanding, conversion-based website design that immediately communicates the value they offer as a Florida roofing contractor. Their value proposition is clear, they explain their guarantee and financing options, and offer customer testimonials. This website does an excellent job of qualifying leads and educating them on the roofing solutions Hippo offers. When leads contact the business, they have a good idea of what to expect. This results in a 90% closing ratio for turning leads into on-site appointments. That’s exceptional. We drive a lot of traffic to Hippo’s website, where leads learn about their roofing solution and realize this is a professional organization they can trust. Results follow. This is their conversion data for the last month. 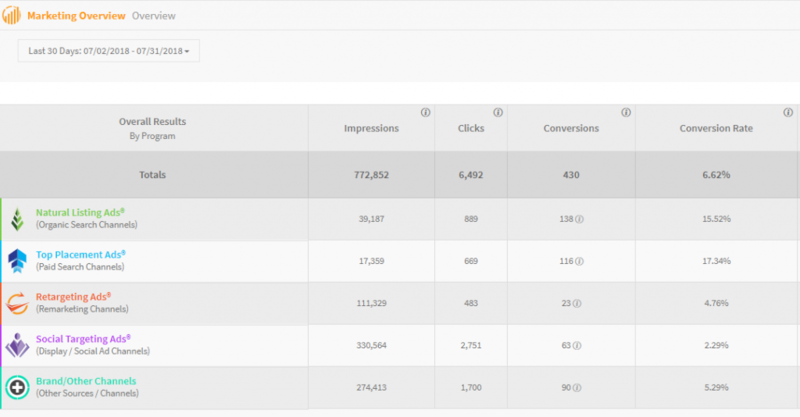 An impressive total of 430 conversions with an overall conversion rate of 6.62%, led out by 15.52% on organic and 17.34% on paid channels. Hippo Roofing invests in marketing and gets a lot of leads. But the best part is how targeted their efforts are. This keeps their cost per acquisition low while the quality of the leads is high. That’s a winning combination and – as Brian points out – it’s not magic. It’s smart, strategic marketing where the contributions of each tactic are clearly understood. If your marketing isn’t this effective, call us today. It can be, as the folks at Hippo Roofing know.